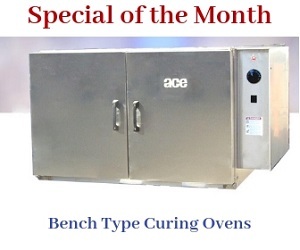 ACE has been catering to the requirements of electrical and manufacturing industries since its inception. 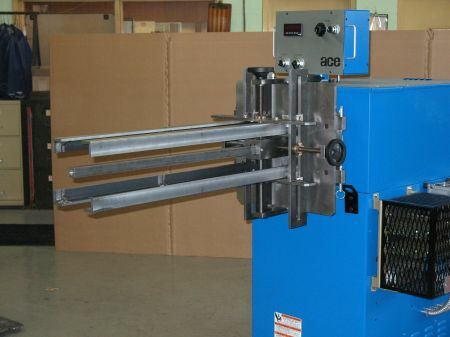 We offer time and money saving coil winding machineries, which provide outstanding results. All the products we offer are smart in design, rugged in construction, superior in performance, and unmatched in durability. They ease your coil winding processes, whilst providing the results within a short turnaround time. 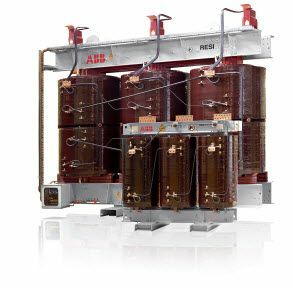 ACE adjustable form is exclusively designed to enhance transformer winding efficiency. Similar to other products in our inventory, this unit also features a simple design, incorporating superior attributes. This versatile unit is designed with two hand wheels. It is controlled and adjusted via these hand wheels (Min. adjustable: 4” x 4.5” x 36” and Max. adjustable: 17.5” x 16” x 36”). Direct reading scales are supplied with this unit. This helps achieve quick hand wheel adjustment to precise coil dimensions. It is engineered to handle an expansive range of core sizes. Hence, you don’t have to spend money on buying, installing, and maintaining costly wooden forms. Purchasing this model brings you substantial savings in terms of time and costs. The transformer form can be easily assembled for the winding operation in less than 3 minutes. When compared to its wooden counterparts, the machine takes less set up time. This results in improved productivity, and in turn increased profits. It features easy coil removal. Retract the tailstock ram to an inch, once the winding is completed. Pull the pivot locks pins to swing the adjustable transformer form horizontally. The form can be swung horizontally up to 30 degrees forward by regulating the pins. 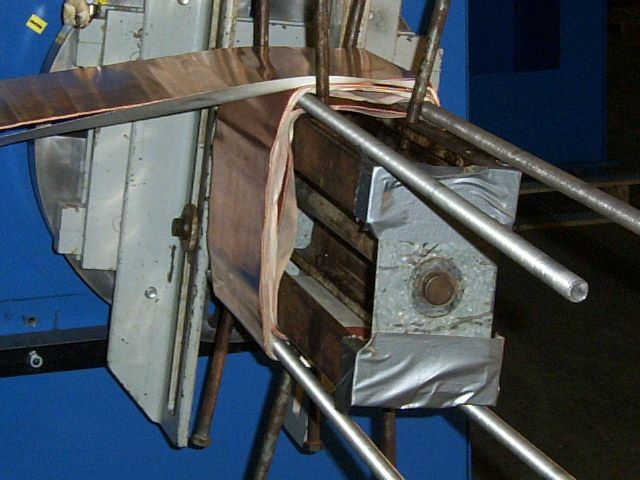 Post this, the support plates that are installed to support angle bars need to be unfastened. Loosening the support bars relaxes the angle bars, allowing for easy coil removal. Once the coils are removed from the unit, tighten the adjustable support plates, regain the position of the form, and insert and tighten the pivot pins. Also, set the original position of tailstock in this stage. Your machine is now ready for next coil winding. The base has a 5” diameter pilot extending .125”. 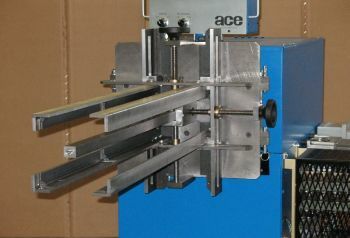 The unit can be easily attached to ACE winding machines or any other appropriate winding drives. Two mounting holes with 625” are provided at the base of the unit for this purpose. This versatile unit is designed to be pivot mounted on the base of the winding machine. The unit is then secured and locked in the winding position using removable pins. A support post is mounted in the center of the main support base. The support post, which is 1.25”, extends the full length of the adjustable transformer form. Four corner angle bars are supplied to provide rigid support to the coils when winding. These corner angle bars are comprehensively supported by adjustable support plates. These thick steel plates, which extend from the square center post, support the end and middle of the corner angle bars. The purpose of adjustable support plates is to eliminate inward deflection of four corner angles during winding operations. Have questions about this model? We provide outstanding technical assistance to help you understand the system, including its specifications, features, and the correct method of operation.